Whenever large transmitting distances for monitoring devices have to be achieved, the PKI 2285 really is the ideal instrument. The advantage of this monitoring transmitter, produced by PKI Electronic Intelligence GmbH is to cover distances of up to 1,5 km, just by using a single, standard 9 V battery. The maximum distance, of course, always depends on the surrounding conditions and the use of a suitable receiver. For this we highly recommend our PKI 2220, which is directly adjusted to the transmitting frequency by means of the same crystal. PKI 2285 is small enough for a camouflaged or even body-worn operation. 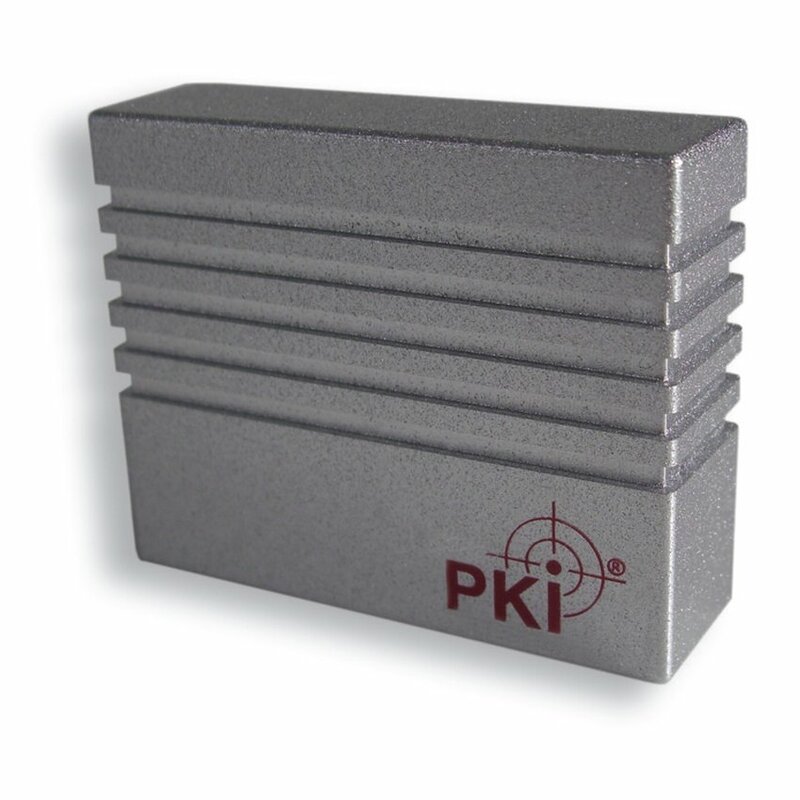 With its solid aluminium housing the PKI 2285 even can withstand rough handling and harsh environment. Although its output power is very high which allows a large transmission range, its operating time can be up to 10 hrs with just one standard battery.